month on contract basis through Test /Interview to be held on 13th June, 2015 (Saturday). etc. 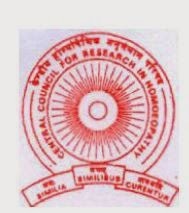 are available at Council’s website www.ccrhindia.org.